For our 10th Anniversary we are delighted to announce that the weekend will culminate in a concert from our wonderful team of visiting tutors: Michael Alpert, Merlin Shepherd, Gica Loening and Polina Shepherd. We don’t always have the time to sit back, and listen to performers of this calibre, hailing from Brighton to Fife, though originally from USA to USSR. This concert will also be open to the public to showcase the wonderful world of Klezmer, now in Derbyshire. 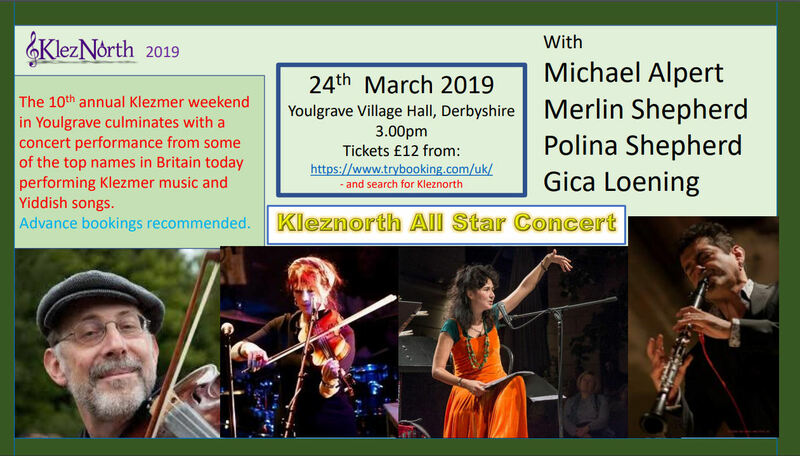 KlezNorth participants get a very substantial discount on the ticket price.